Changes are Coming to E-Liquid Manufacturing! Companies have stated that ISO and GMP are one and the same, however they are vastly different. Some businesses are under the assumption that their ISO 9001 is “close” to a GMP program, however that is not so. 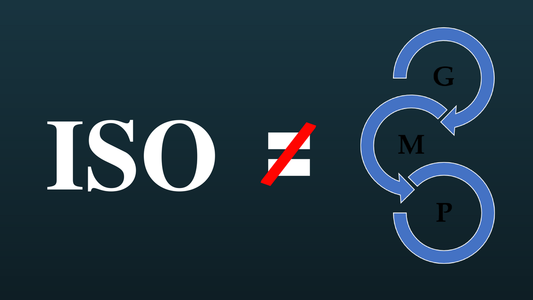 ISO’s quality management does not always transfer into process manufacturing. ISO is set on customer satisfaction guidelines and deals with the business as a whole. GMP has similar values but focuses on process control and quality systems. GMP is more comprehensive when it comes to manufacturing. I have seen companies’ facilities from big to small, clean to dirty, and processed to pandemonium. What I am not seeing are basic GMP guidelines being upheld or put into practice. There is a level of GMP that exists across the board. Having been in quality for close to a decade, quality is a state of mind. I should make the notation that when I speak about ‘quality’ I NEVER refer to ISO, only GMP. I often think of a manufacturer as a human body (in simple terms), we have the skin (sales), the bones and muscles (production), and the heart (quality). If you have ever met anyone who works in quality, they are passionate people who are often frustrated. I compare quality workers to a quote from Pretty Woman. This quote sums up my experience in quality. It’s value to any company, is to find your weakest links and give the owner the opportunity to fix them. That in itself, is very hard for people to hear. Quality can assess loopholes and help reduce risk that can be hidden in production, making your company more profitable. Quality guards you from liability and gives responsibility to areas that lack structure. Quality is a friend to the company and the customer. They don’t make the mistakes (theoretically), they find the mistakes. Currently, the FDA has not placed any standards regarding vape manufacturing GMP other than those basics mentioned in the PMTA. Thinking that quality doesn’t exist doesn’t mean that it won’t. GMP, just like Rome, was not built in a day. GMP is a continuous investment. It takes owners from entry level to entrepreneur, from “mod’er” to mogul. It should give companies a level of pride and show intent to fight for their space in this industry. For those of you who are using a co-packer it is time you to sit down with your maker and decide on where you both are going, and what you will need to get there. 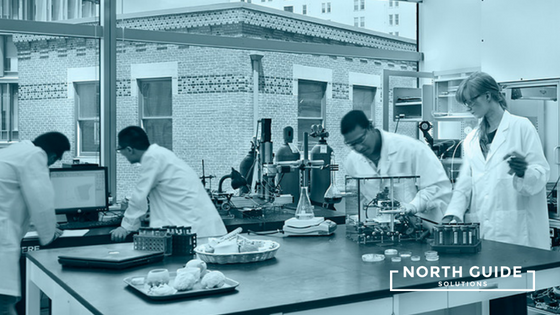 Make sure you are putting your “e-liquid in the right mod.” Keep in mind that when your contract manufacturer registers, we all level up as an industry. GMP is coming my friends! The question is, are you preparing?